Chalk - What's next for DraftKings, FanDuel and the daily fantasy industry? What's next for the daily fantasy industry? Late Thursday, the Nevada Gaming Control Board concluded that daily fantasy sports constitute gambling under state law. "Offering DFS in Nevada is illegal without the appropriate license," wrote Nevada regulator A.G. Burnett in a one-page memo. The decision resulted in a cascade of reaction from industry stakeholders, with a considerable number of fantasy operators promptly ceasing offerings in the Silver State. "I think our country had reached a tipping point with DFS where a definitive declaration was necessary," said Kate Lowenhar-Fisher, a gaming industry attorney at Dickinson Wright in Las Vegas. "The conclusion of our regulators was not surprising. "Other [states] will follow, and it will be easier now that Nevada has declared a reckoning." Multiple experts also noted the importance of Nevada's decision. "Nevada is clearly the gold standard for gaming regulation," said Sue Schneider, who has testified before Congress on gaming issues and is the founder of eGaming Brokerage. "I think this will force the issue in determining the legality of daily fantasy sports. 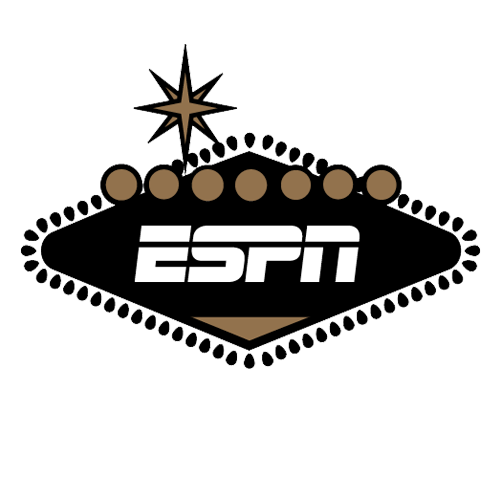 "It was logical for Nevada to assert control over DFS," said Chris Celestino, a sports integrity analyst based in Switzerland. "It is the first codification of what most neutral observers already believe -- that DFS and sports gambling are one and the same." Nevada's decision capped a dynamic week of developments in the fantasy and sports gambling industry, with the legality of certain fantasy sports offerings in the crosshairs of both state and federal government officials. On Wednesday, the Wall Street Journal reported that the FBI and Department of Justice are investigating a yet-to-be-known number of fantasy operators. The focus is reportedly on whether the DFS business model violates one or more federal laws. The Federal Trade Commission may investigate too after receiving a request from Sen. Richard Blumenthal of Connecticut. At issue is whether the nascent daily fantasy industry can continue to exist status quo or if DFS will be moved under the traditional sports gambling umbrella typically involving betting on point spreads, totals, money lines and narrow prop bets. Daily fantasy sports' existence largely derives from the intersection of technological advancements and the Unlawful Internet Gambling Enforcement Act of 2006 -- UIGEA for short. The thrust of the law was to limit online gambling by making it illegal to process gambling-related payments. UIGEA's opening section makes clear that the statute does not alter, limit or extend "any Federal or State law or Tribal-State compact prohibiting, permitting, or regulating gambling within the United States." But UIGEA's second section also exempts certain forms of fantasy sports from the law's definition of "bet or wager" if such fantasy offerings meet several requirements. One of the requirements mandates that "winning outcomes reflect the relative knowledge and skill of the participants." Issues of skill versus chance have long impacted the debate about the legality of fantasy and sports gambling. Daily fantasy companies point toward UIGEA's second section in support of their position about DFS's legality. States like Nevada cite UIGEA's first section as justification for any possible regulation. "Today's daily fantasy sports weren't envisioned when it got the carve-out in [UIGEA] in 2006," said Schneider in an interview with Chalk. "So this does need to be clarified." Beyond UIGEA, there are a vast number of federal laws that could potentially attach to certain forms of fantasy, including many that were enacted decades before the Internet. Examples include the Wire Act of 1961 and the Illegal Gambling Business Act of 1970. Even tax code provisions could be part of any federal probe. For example, the Internal Revenue Code generally requires an excise tax to be paid on certain wagers, including those on sporting events and skill-based contests such as spelling bees. Beyond the federal probes, the specter of state-level inquiries remains. Like Nevada government officials, New York Attorney General Eric T. Schneiderman initiated an investigation with an apparent focus on industry leaders DraftKings and FanDuel. Both DraftKings and FanDuel have undertaken internal reviews as well. The Massachusetts Attorney General Maura Healey found that DFS was legal in her state. The implications of the various probes go beyond individual fantasy operators. American sports leagues have long recognized the increased consumer engagement and value that flows from fantasy sports. Several professional leagues -- the NBA and Major League Baseball included -- own equity stakes in DFS companies and have a vested interest in how the investigations on dual federal-state tracks proceed. Indeed, the NFL, MLB, NBA, NHL and NCAA have, on multiple occasions, made their views on Internet wagering known to Congress after UIGEA was enacted in 2006. "Proponents of Internet gambling claim that legalizing and regulating Internet gambling would be preferable to UIGEA," wrote NBA, NCAA, NHL, MLB and NFL executives in a joint April 25, 2007, letter to Congress recently obtained by Chalk. "Our sports organizations would very strongly oppose any effort to legalize any online sports gambling. "Congress has also found, as have others who have examined this issue, that Internet gambling serves as a vehicle for fraud, money laundering and other criminal activity, and that it has contributed to both underage and compulsive gambling." Some of the sports leagues' concerns about Internet wagering in 2007 are now seemingly shared by law enforcement officials looking at the legality of certain types of online fantasy sports. Within the past week, certain fantasy operators have also faced several private class-action lawsuits following allegations of misused "inside information" by company employees. Projections on the path forward for DFS companies and their investors -- a group that includes venture capitalists and media entities in addition to certain sports leagues -- are pointed toward greater scrutiny and government oversight. The confluence of state-level probes, investigations by one or more federal agencies, class-actions lawsuits and potential congressional hearings is profound. Experts think the days of self-regulation are closing. "Given the enforcement investigations brewing now, the state and federal legislators now have it on their radar," said Schneider. "Nevada's decision to regulate DFS under the same terms as sportsbooks and casinos could reverberate at both state and federal levels," Celestino similarly told Chalk. "The tenuous distinction between DFS and traditional betting is the cornerstone of DFS legality, and Nevada's decision erodes that distinction by putting both in the same regulatory bucket."